PUEBLO GRANDE MUSEUM BLOG: A Door to Nowhere? 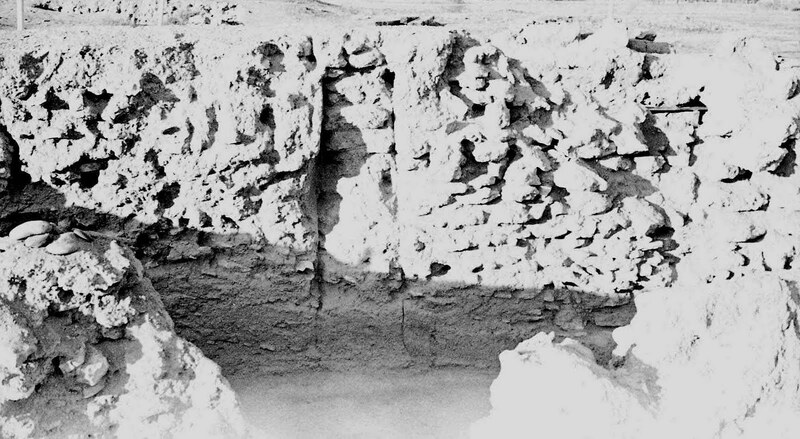 One of our most intellectually valuable collections here at PGM are the field notes and photographs documenting a series of excavations that were conducted at Pueblo Grande in the 1930s. The majority of the people involved in these excavations were not professional archaeologists, but rather laborers who were funded through Depression era programs including the Public Works Administration, Civilian Conservation Corps and Works Progress Administration. The bulk of the 1930s excavations are poorly documented, making the papers and photos that exist extremely important in our interpretation of the site. This is one of the rooms on the southern half of the Platform Mound as it appears today. The room’s most unique feature is a sealed doorway that once led into another room to the north. Here’s a view of the same doorway and room from a photograph taken during excavations in 1937. This photo shows an aerial view of the room. The red arrow points to the sealed doorway. 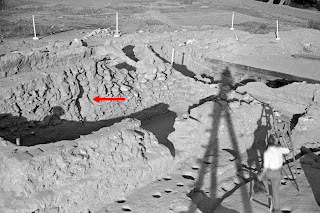 Note the scaffold shadow in the photograph. A large, moveable tripod was built on site and provided the crew with the ability to take photographs from overhead. Though the sealed doorway remains today, other features, such as those on the floor have been destroyed by excavations and the elements. 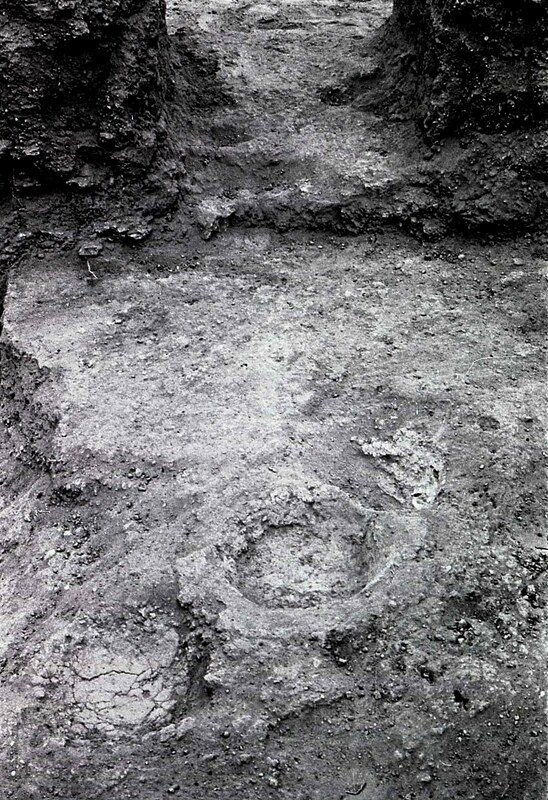 For example, these three hearths were located just inside of the unobstructed doorway. 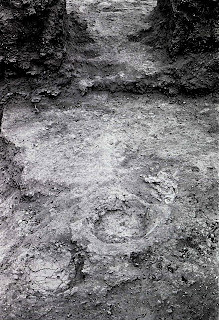 The layering of the hearths indicates a long period of use. Unfortunately, excavations in 1935 damaged the layers above and around the hearths, making their analysis in 1937 by archaeologist Julian Hayden problematic.